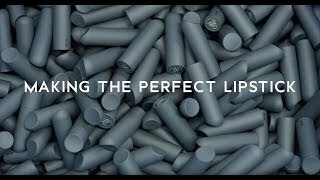 How do we make the perfect lipstick? Create fuller looking lips with our Amuse Bouche Lipstick! Amuse Bouche Lipstick is rated 4.8 out of 5 by 88. Rated 5 out of 5 by Aria from Only Lipstick I LOVE to Wear Over the last couple of years, since I became acquainted with the Amuse Bouche formula, I have been building up quite a collection of these lipsticks--they quickly became my favorite formula, and they last SO well. They are luxurious going on, highly pigmented, incredibly comfortable, and wear down naturally. I don't ever want to wear other lipsticks now, unless it is a color I don't have in this formula. My favorites include: Spritzer, Jam, Sweet Cream, and Chai. Although, really, I am in love with most of them. Bite has some of the BEST purples I've been able to find. If there is a color calling your name, I say go for it! I don't think you will regret it. I don't buy any other lipstick anymore, unless it is one of Bite's formulas--although Amuse Bouche is by far my favorite. Thanks, Bite!! Rated 5 out of 5 by kjo.xo from Yessss girl❤ My absolute favorite lipstick! The first shade (what is in the pictures) that I purchased was Eggplant. Definitely a staple in my makeup collection. Rated 5 out of 5 by Bubbles from Only company I buy lipstick from now I first was attracted to Bite because they are not tested on animals and the products are made in Canada. I love the creamy feel of them and that they don’t bleed out and they wear down naturally. I’ve tried sugarcane, soufflé, maple, honeycomb. I can’t wait for the Capricorn horoscope shade to come out! I have not bought lipstick from any other company since I tried these last year. Rated 5 out of 5 by auburn from All Time Fav I bought Amuse Bouche Lipstick in Beetroot in about a month ago and I wear it every day. I am so satisfied with this purchase. The shade fits me so much--all of my friends definitely like it on me. Great formula, great pigmentation and great smell. I also want to mention the Find Your Bite part in Bite website, which helps me a lot in finding the fittest shade for me. Rated 5 out of 5 by Nicole890 from Feels creamy and natural - lasts for hours. I have been using Bite lip products for about two years now, and I will never put any other formulas on my lips! I have extremely dry lips that do not react well to typical lip products, so I didn't wear lipsticks for the longest time. By the end of the day my lips would be zapped of moisture and take days to heal :( Enter Bite...they are completely natural and feel SO creamy without being heavy. It applies incredibly smooth and leaves my lips feeling nourished. I have at least 6 shades in mauves and berries. Not to mention their products don't break the bank. Try it today! Rated 5 out of 5 by Tomekia from Love at first glide I received this in my Sephora birthday gift. I loved the color for my tan skin tone. When I applied it I immediately fell in love. It was the perfect color, moisture, and stayed in place throughout the day even if I was eating and drinking. I am definitely on my way to get more colors! Rated 5 out of 5 by Sama from Thistle, Rhubarb, Taurus Great shades - including a comparison of Taurus to some other shades.